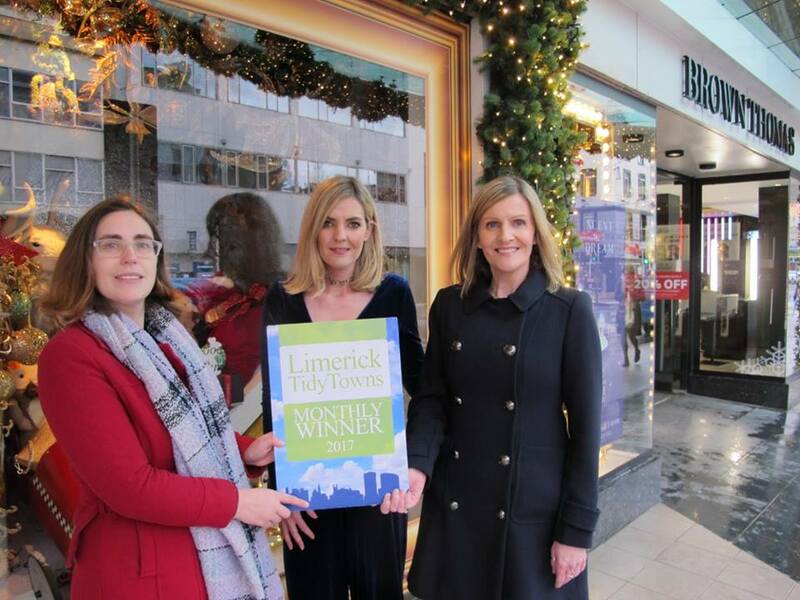 We usually focus our monthly awards on smaller businesses, but we felt this year that it was important to recognise the hugely positive impact Brown Thomas has had on Limerick city for many years, and how wonderfully their Christmas decorations enhance the heart of the city’s retail centre. The impact their festive lights and window displays have at the hub of the city centre is clear for all to see, but throughout the year, the store also consistently maintains an impeccably clean exterior, with regular window cleanings and litter-picks outside all store entrances, and at the rear of the property. As well as that, when the store acquired new Christmas decorations a couple of years ago, their previous decorations were recycled by way of donation to The Hunt Museum, something that is a vital element of the Tidy Towns ethos. Brown Thomas is an iconic store and an important part of Ireland’s retail history since 1849, when it was established in Dublin by the haberdashers and drapers Hugh Brown and James Thomas. The store has four branches nationwide in Dublin, Cork, Limerick and Galway, and the Brown Thomas name has become synonymous with luxury, integrity and beauty. Their Limerick store stocks the widest selection in Limerick of Irish and International brands in men’s and women’s wear as well as accessories, beauty and homewares, and is a vital part of the Limerick shopping experience for both locals and visitors to the city. 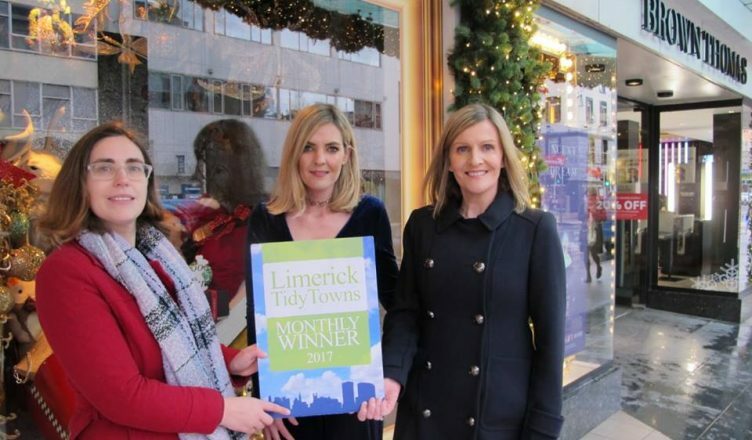 Brown Thomas is the eleventh and final Limerick City Tidy Towns winner for 2017, following Nelly’s Corner in October, Amee’s Boutique in September, O’Connell’s Butchers in August, The White House Bar in July, Bluebird Care in June, Enzo’s in May, Billy Higgins Clothing in April, No 1 Pery Square in March, Casey’s Londis Mount Kennett in February and Narrative 4 in January, and all monthly winners will be in with the chance of winning the overall prize for 2017 at the annual Tidy Towns event to be held early in 2018. Watch this space for details!